Keywords, rankings, optimized websites; what does it all mean for you? Search engine optimization is a hot topic for any business and a key marketing trend. If you are like most people, when trying to find something from a search engine, you won’t scroll past the first page of results to find what you’re looking for. This could all change with the future evolutions of virtual assistants. 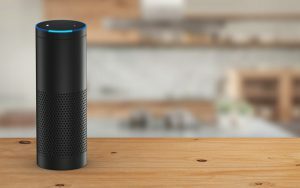 Siri, Cortana and Alexa are the big names that have helped to make our social world a little easier to navigate. But what do they have to do with the SEO world? The mobile first realm we live in will still be powered by search, it’s just a matter of competition between what sites will be the top hit for the virtual assistants to retrieve our answers from. The future challenge for the SEO world will be learning how to become that top hit based on our voice recognition while also being the quickest and most accurate. As consumers have adapted to voice recognition searching, the content providers will have to adapt how their information is presented. Specifically focusing on mobile platforms with different formats; video, for example. Technology can change overnight; maybe we will soon be getting our web search results via hologram or even telepathically.